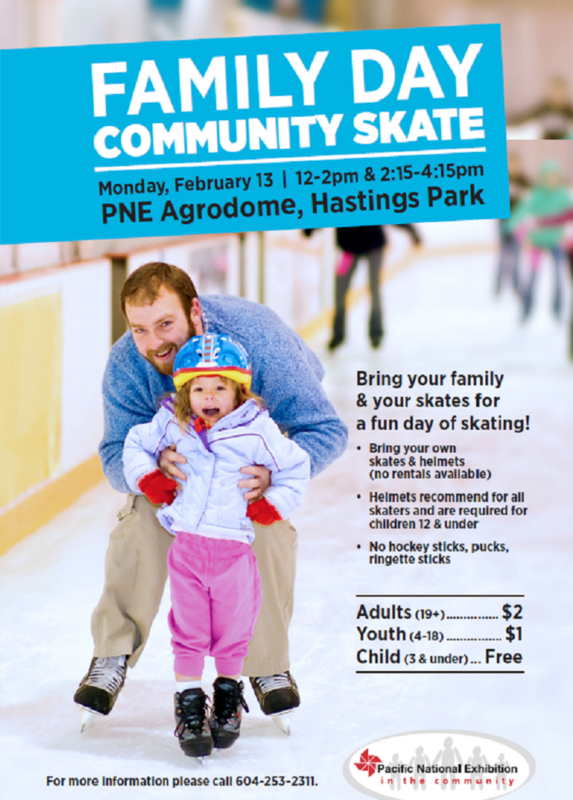 Family Day Community Skate at the PNE Agrodome! The long weekend is almost here and the kids are ready to rock; but do you have plans for Family Day 2017? We have you covered with some great family fun at the PNE Agrodome! We are happy to announce that we will be hosting the Family Day Community Skate on February 13 2017 from 12:00pm to 4:15pm at the PNE Agrodome! Bring your Family, Friends, and Skates to participate in this fun filled family activity! Helmets are recommended for all participants (Children 12 and under must wear a helmet), especially those unfamiliar with skating. Don’t forget to share your Family Day activities on social media and tag @PNE_Playland for a chance to be featured on our page!